The LCA comparing Fluence Z.E. with the internal combustion-engined version of Fluence has been completed and submitted for appraisal by five independent international experts. The environmental footprint of an electric vehicle depends of the way that electricity is generated in each country (hydroelectric, nuclear, thermal, wind, solar, etc.) and on the battery technology employed. The gradual decarbonisation of the electricity grid in Europe (the objective is for 30 per cent of electricity to be produced by renewable means by 2020) is of immediate benefit to every electric vehicle on the road. Moreover, the development of ‘green’ electricity by providers will allow owners of electric vehicles to charge their batteries using electricity that has been certified as renewable and thereby reduce their environmental footprint. In France, for example, Renault has entered into a partnership agreement with CNR (Compagnie Nationale du Rhone), the country’s second biggest provider of electricity which runs and provides ‘weather’-generated renewable energy (hydroelectricity, wind farms, solar). The objective of this partnership is to develop a means for drivers to charge their electric vehicle using certified, 100 per cent renewable electricity. By as early as 2013, ZOE’s local content will be 55 percent thanks to the availability of the motor made at Renault’s factory in Cléon, France. The proportion of local content will then continue to rise to further reduce the vehicle’s environmental footprint. Furthermore, producing the vehicle near its major markets minimises transport requirements and also helps to combat pollution. Finally, France’s more favourable electricity production mix ensures well-to-wheel CO2 emissions for ZOE of just 12g/km, which is another major argument in favour of ZOE’s LCA. More than 85 percent of electric vehicles are recyclable and the same figure for batteries is more than 50 percent. In 2011, Renault sealed a partnership with Umicore, the world’s number one recycler of lithium-ion batteries for mobile phones. 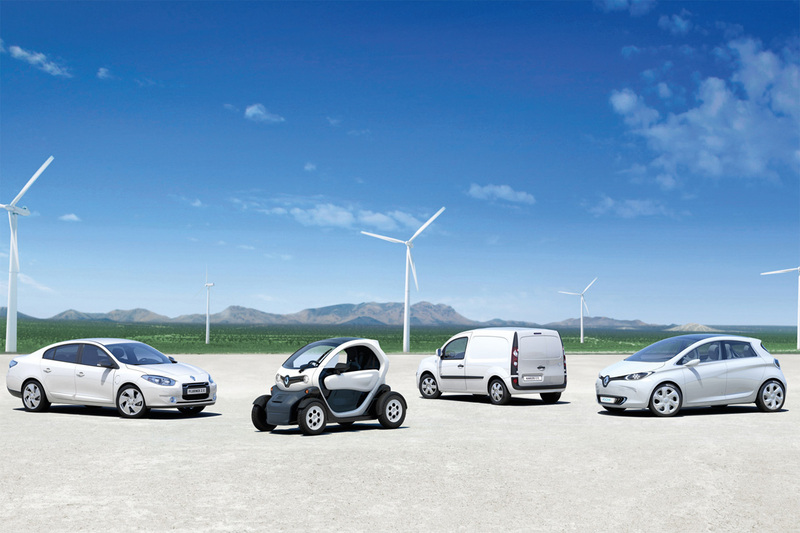 This company currently recycles the batteries used for Renault’s prototypes test vehicles and early electric vehicles. Ongoing research projects have highlighted new recovery techniques for raw materials such as copper, aluminium, cobalt and lithium which will gradually find their way into the production of new cars and batteries. This will reduce the impact of electric vehicles on the depletion of non-renewable resources, and also the phenomenon of acidification associated with battery production.